When Hollywood movie star Jack Eversea stumbled into sleepy Southern town Butler Cove, he had no idea he would encounter the only 'real' thing that's ever happened to him—only to let her slip through his fingers. Now Jack's life is in ruins. He's being threatened by the production company of his latest movie franchise, feels betrayed by those he trusted most and is on the verge of losing his entire career. Keri Ann Butler's life changed the night she met Jack Eversea. But suddenly he was gone, and she has to pick up the pieces and start again. 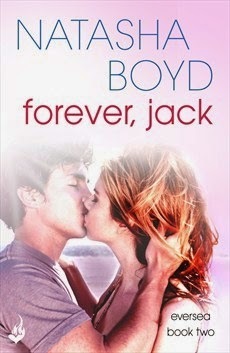 Now Jack has returned, with one thing on his mind—winning back the girl who stole his heart. But Keri Ann has moved on. Is it too late? At the end of the first book, things between Keri Ann and Jack didn't end in the most pleasant of ways, so picking up where we left them was a great way to start the read, especially because we got to see what really happened to Jack. If your read "Eversea" and loved it, get ready for another emotional road. Make yourself comfortable and let Natasha Boyd guide you through a journey that will stay with you for quite a while!